WKC hosts several events each year as listed below. Dates are shown on the calendar (link below). Several weeks before each AKC-licensed event, we will post the premium which can be downloaded from this page. If you would like to volunteer at an event, please visit our Volunteer page. SCROLL DOWN FOR INFORMATION ON UPCOMING EVENTS & PREMIUMS. WKC will hold its 2019 Pointing Dog Hunt tests on May 4th and 5th at the Hughes Ranch outside of Almira, Washington. This is the seventh year the Club has hosted this event. This year we again offered a “double-double,” which means there were two tests each day for two days. Dogs competed in the Hunt Test at three levels: Junior Hunter, Senior Hunter, and Master Hunter. To enter, a dog must be at least 6 months old and a pointing breed. For more information, contact Louise or Norman Day at nfday@msn.com. The 2019 Tracking Test is CANCELLED this year due to snow! WKC will hold its Tracking Tests on Sunday, March 10, 2019 at the KV Ranch in Palisades, WA. Tests are at two levels: Tracking Dog (TDU) and Tracking Dog Excellent (TDX). AKC Tracking Tests allow dogs to demonstrate their natural ability to recognize and follow human scent. This vigorous outdoor activity is great for canine athletes. Unlike Agility and Obedience events that require a dog to qualify three times, a dog only needs to complete one track successfully to earn each title. Volunteers are invited to help with this interesting one-day event. Entries closed at 5 p.m. on March 1, 2019. For more information, contact Maggy Susman at conceptsink@charter.net. Use the button below to download the premium. WKC hosts three days of AKC all breed Agility Trials the second weekend of October each year, at Confluence State Park in Wenatchee, WA. Dry camping is available onsite. Standard campsites and full hook-up sites are available within the State Park. Reservations for those sites must be made through the Park system. A few weeks before the trials, the premium will be posted below. WKC holds its annual three-day dog show the third weekend of October at the Chelan County Fairgrounds in Cashmere, WA. Many activities are offered, including Conformation, Obedience, Rally Obedience, Lure Coursing, Scent Work, Weight Pull, Health Clinics, a Fun Match on Friday evening and lots more. The premiums will be posted here several weeks before the Show. WKC hosts Dog Fun Days to give children and adults an opportunity to get acquainted with well-behaved dogs and to watch dogs do Agility and other exercises. Typically, these fun days are held at Walla Walla Point Park in Wenatchee and/or in conjunction with other annual Wenatchee events. We also schedule visits to local assisted living centers in the Wenatchee area so residents can enjoy our Therapy Dog companions. Watch the website for more information as dates get confirmed. 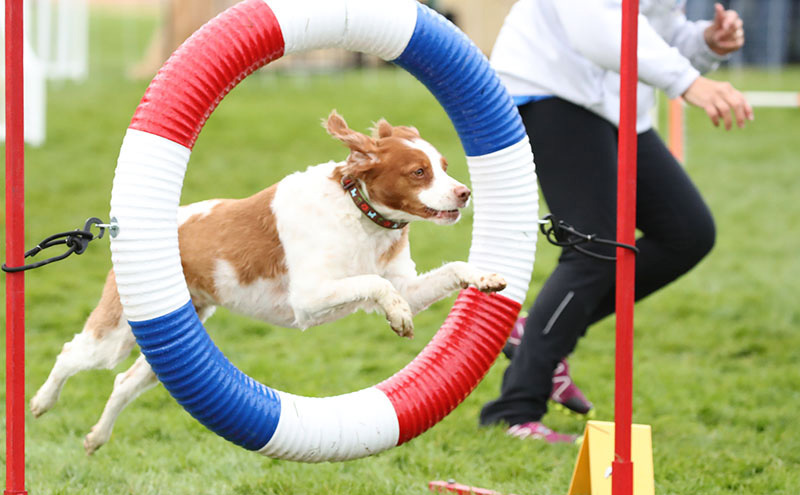 An Agility FUNday is held in May in the park at Rocky Reach Dam The event enables handlers and dogs of all skill levels to work in the ring, build confidence, and practice some new skills. The weather is often perfect at this time of year and the event is always entertaining. It is a great day to gather with friends and meet some new ones, enjoy a good lunch, and appreciate the lovely spring weather. We are so grateful for the volunteers who make this event happen.